Don't start your new officer position off on the wrong foot. Every year your chapter/colony transitions from one group of officers to the next. This guide is for all eight of those positions that includes detailed descriptions, duties, and characteristics associated with each role. 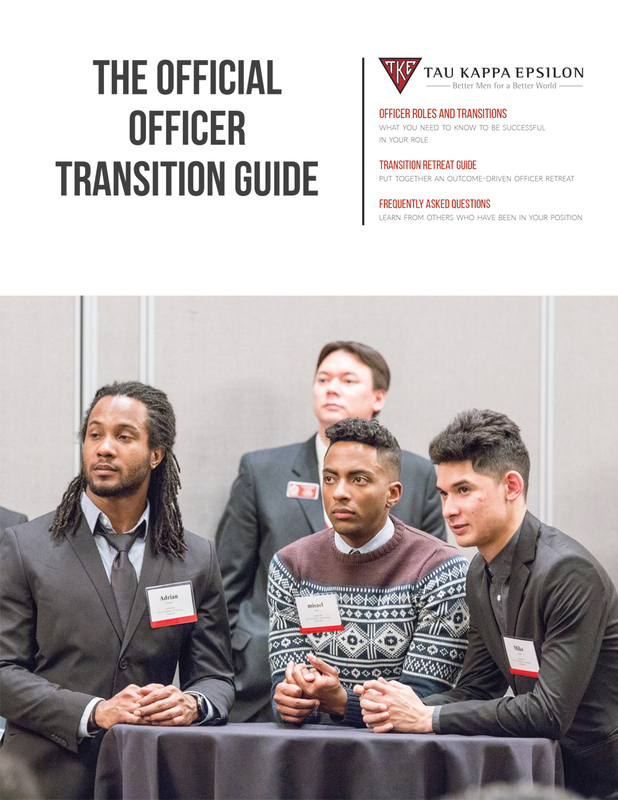 The Officer Transition Guide assists you with all the questions you may have with your new role, planning your officer transition retreat, tips for what your goals should be, and other frequently asked questions that new officers may have. Click the image below to download "The Official Officer Transition Guide"